Brian was born in Croydon to Cyril and “Babs” Smith. His Father was a senior executive in the Post Office and he had a distinguished wartime career finishing as a Colonel OBE on Montgomery’s staff in Northern Europe, running the Army Postal Services. Educated at Dulwich College, Brian went on to read natural sciences at Queens College Cambridge, and studied medicine at Guy’s Hospital Medical School qualifying MB BChir and LRCP (Lond) and MRCS (Eng.) in 1963 and MRCP (Lond) 1970. Brian specialised in Physical Medicine, and Rheumatology & Rehabilitation Medicine (Diploma in Physical Medicine 1970) and he was elected a Fellow of the Royal College of Physicians London in 1984. He held senior posts at Indiana University School of Medicine USA, at the National Hospital for Rheumatic Diseases at Bath, and he was a lecturer in Clinical Pharmacology at the University of Bath. Then he came to St Richard’s Hospital Chichester, where he was the Specialist Consultant in Rheumatology and Director of the regionally supported Rehabilitation Unit, Donald Wilson House. This was at the time a novel concept and as Director he established a successful weekday care unit. He retired from his NHS consultant post in May 1998 to concentrate on research into the history of medicine. Early in 1998 he was involved in the excavation and identification of the bones discovered in the basement of the premises of William Hewson’s anatomy school at 36 Craven Street, London which had been the lodgings of Benjamin Franklin for much of his time in England between 1757 and 1775, when he acted as the agent for the American colonies of Pennsylvania, Georgia, New Jersey and Massachusetts. As a result of this research, Brian was invited to the USA to give the prestigious “Mutter Lecture” to the Philadelphia College of Physicians. 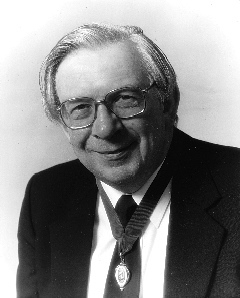 He was President of the Hunterian Society of London, from 1999 to 2000 and the title of his Presidential address was “From Hedgehogs to Turtles – a Hunterian Affair”. He gave the Hunterian Oration to the Society in 1995, “Hunter, Hedgehogs and Hibernation”. Brian was a Freeman of the Society of Apothecaries of London and he took their diplomas in the History of Medicine, and in the Ethics and Philosophy of Medicine. He founded the West Sussex History of Medicine Society based in the Medical Education Centre of St Richards Hospital Chichester which has grown to be a popular and well attended society with a series of talks and lectures every autumn. He gave presentations about the bones of anatomy school in Craven Street, the coroners’ archives in Westminster Abbey, the “Discovery of the Double Helix and the Birth of the Biological Revolution” and “Benjamin Franklin and Medicine”. He was always looking forward to developments in medicine as well the achievements of the past. He invited many medical historians to talk to this general audience: this growing and popular society owes its continued existence to his perseverance, leadership and energy. Brian continued his research into the production of uric acid and its value as a marker of metabolic impairment, which he had started in the USA. Sometime later he studied and observed the value of the measurement of salivary uric acid levels in pregnancy to predict impaired foetal maturity and the early detection of pre-eclampsia. He held patents for his methods of collecting and measuring uric acid in salivary samples to monitor women in pregnancy. At the time of his unexpected death he was writing a book about uric acid, “Uric Acid in Gout, Starvation and Pregnancy”. He could frequently be seen cycling the miles from his family home in Westgate to his much loved cottage in Bosham which he was refurbishing for his retirement. He was predeceased by his wife, Rose, and leaves a son Tim and a daughter Emma. The Annual ‘Brian Owen-Smith Lecture’ is given each year by a distinguished medical historian in Brian’s memory.